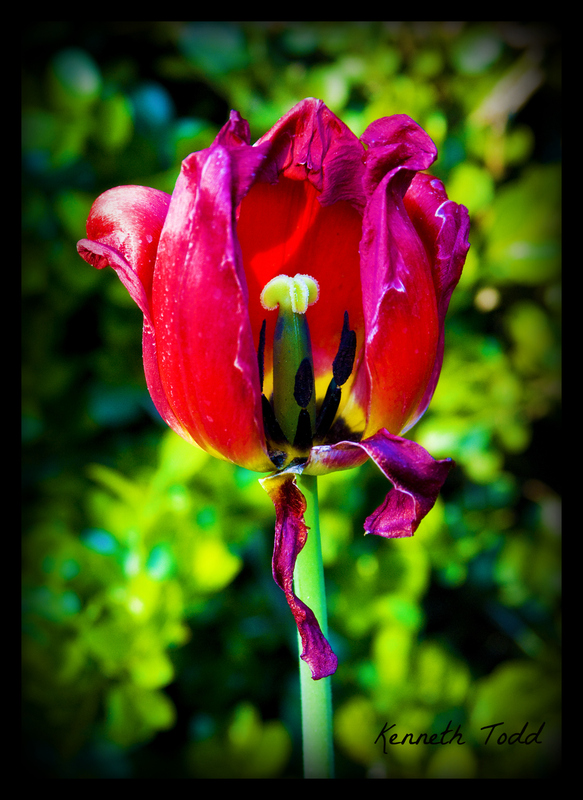 This is one of the Tulips I photographed last week. This week she is slowly withering up and dying, will drop to the earth, unselflishly nourish the earth and get ready to grow again next year. So brief, so beautiful and so giving. Thinks of this flowers purpose. It provides so much beauty for our satisfaction and then dies and feeds the earth so other plants can grow. It is in service and asks for nothing in return. Perhaps we could follow it’s lead. Thanks Angeline. I thought the same thing about the window :-). It’s perfect in each stage..thanks for an honest look. I like this perspective, being able to see the inside from the side instead of the top. Nice capture.